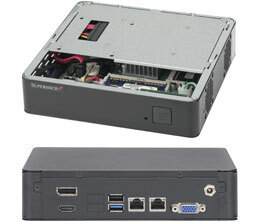 Supermicro's new scalable Mini-ITX Box PC based on Intel® Celeron™ J1900 SoC in FCBGA1170. It is well-suited for digital signage, indoor kiosk and embedded applications. 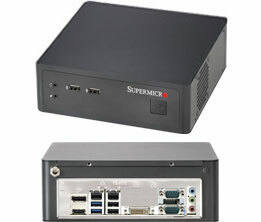 Supermicro's new scalable Mini-ITX Box PC based on Intel® H81/Q87 Chipset supports Intel® Core i7, i5, i3, Pentium & Celeron Processor in LGA1150 Socket. It is well-suited for embedded applications such as Video processing and Broadcasting server, Security Appliance and Video Surveillance, digital signage, indoor kiosk, Point of Sales (POS). 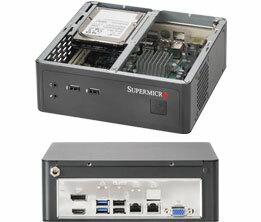 Supermicro's new cost-effective Mini-ITX Box PC based on Intel® NM10 Express Chipset supports Intel® Atom™ processor N2800. It is well-suited for embedded applications such as digital signage, gaming machine, indoor kiosk, ATM, Point of Sales (POS).